Political pressure blocks tender award. 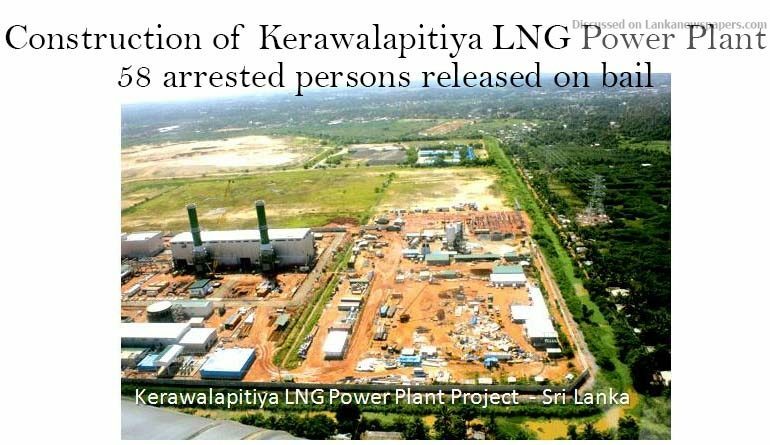 The Tender Procedure for the construction of a 300MW Liquid Natural Gas (LNG) Power Plant, to be built in Kerawalapitiya, has been completed, but the tender has not been awarded as yet by Standard Cabinet Appointed Procurement Committee (SCAPC), to the lowest bidder selected due to political influence, Ceylon Today learns. Construction of the 300MW LNG Power Plant has been delayed by about six months and this will have a direct impact on the future power crises, the Ceylon Electricity Board (CEB) sources said. Although several LNG Power Plants were discussed during the past, it has not been possible to start construction of even the only Power Plant for which a Tender Procedure was carried out. Another reason for the delay in awarding the Tender is that LTL Holdings, which had submitted the lowest bid, of US Dollars 160 million, presented conditional closures to the Tender, that, under such circumstances, maximum political pressure has been exerted in connection with this tender, the sources said. Although the cost of constructing such a LNG Power Plant is usually about US$ 300 million, LTL Holdings have submitted a bid of only around US$ 160 million. They have submitted a condition that only if they receive tax concessions from the Government would they be able to construct the Power Plant at the cost mentioned. As a result, other tenderers emphasize that if so, they too should receive these same tax concessions from the Government. Responding to our inquiry, the Chief Executive Officer of LTL Holdings, U.D. Jayawardena, said that he will be able to comment on this next week. Eight Companies had initially qualified for this tender and six had been finally recommended by the Technical Evaluation Committee (TEC).